Refreshing and refreshingly simple to prepare this pretty salad is great for a dinner party. It stores well in the fridge making it a perfect go-to for weekday lunches. Try adding smoked fish for your protein source – YUM! Lovely cooked or raw, fennel has a subtle sweetness and licorice flavour. Not only does fennel taste great, it contains antioxidants, fiber, folate and potassium as well as immune boosting vitamin C! Remove the stalks from the top of the fennel bulb. Remove the fronds and set aside. Cut the head in half through the core. 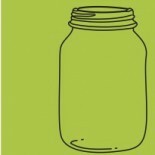 Trim out the woody core and then slice the remaining bulb as thinly as possible. In a bowl toss fennel with juice of lemon/orange, drizzle of olive oil, sprinkle of sea salt and pepper and zest of orange. Spread out onto a nice plate. Carefully peel orange with a knife (removing pith) and slice into wedges or rounds. 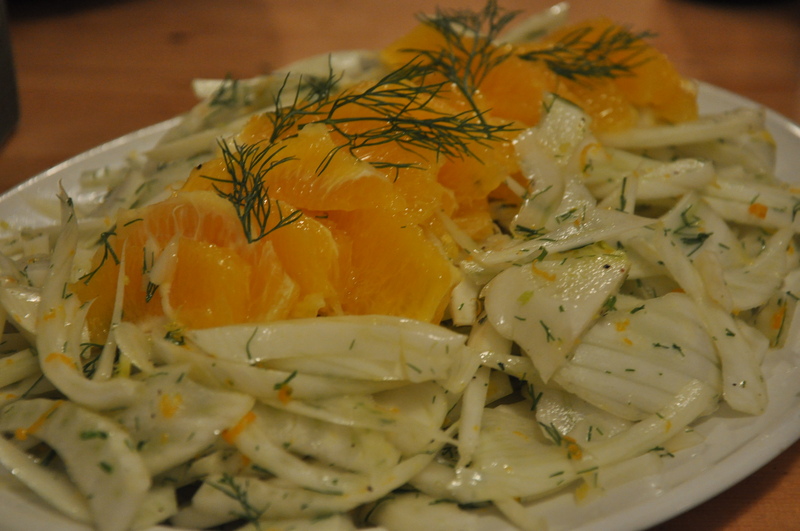 Lay orange over fennel and top salad off with fennel fronds. This salad can be kept in the fridge for several days. This entry was posted on March 25, 2012 by katelivingfull in Nutritional info, Savoury Recipes and tagged dairy free, fennel, gluten free, lemon.